Saturday night, Carson and I went on a date in our PJs. We ate dinner, put Brooklyn down for bed, took a bath, and then went out! 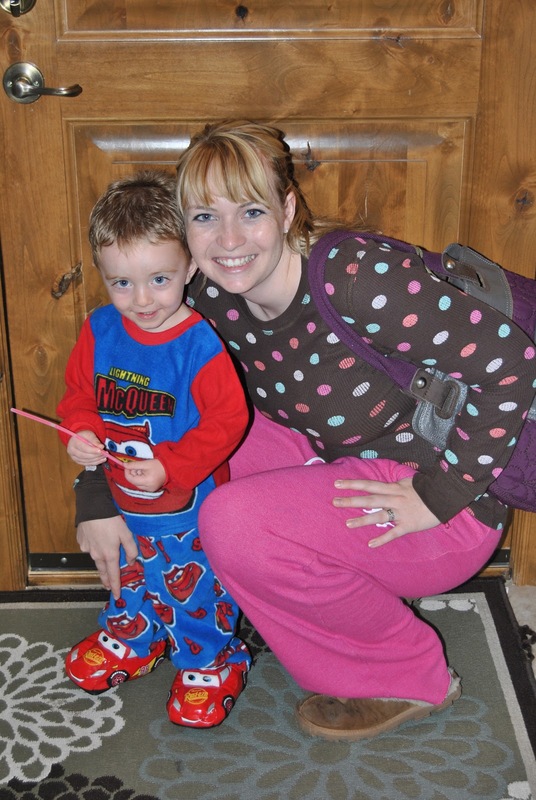 Carson wore his "Cars" pajamas with his matching slippers, and off we went! Our first stop was the Orange Leaf, where we shared a big cup of frozen yogurt. By shared I mean that Carson hogged it. 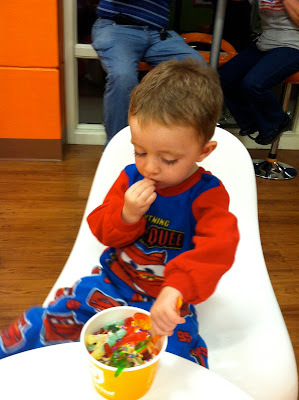 I let him put whatever toppings he wanted on it, so it was basically a cup of gummy worms, gummy bears, sprinkles, sour patch kids, and white chocolate chips. He thought it was pretty cool. When we were done eating our ice cream he asked to go to Walmart. Silly kid. It cracks me up that he knows what Walmart is. We went and I bought him french fries from the McDonalds inside. He picked out a new shirt (Thomas the Train) and new jammies (Batman, which he pronounces "NatNam") and he helped me pick out some jammies for Brooklyn. 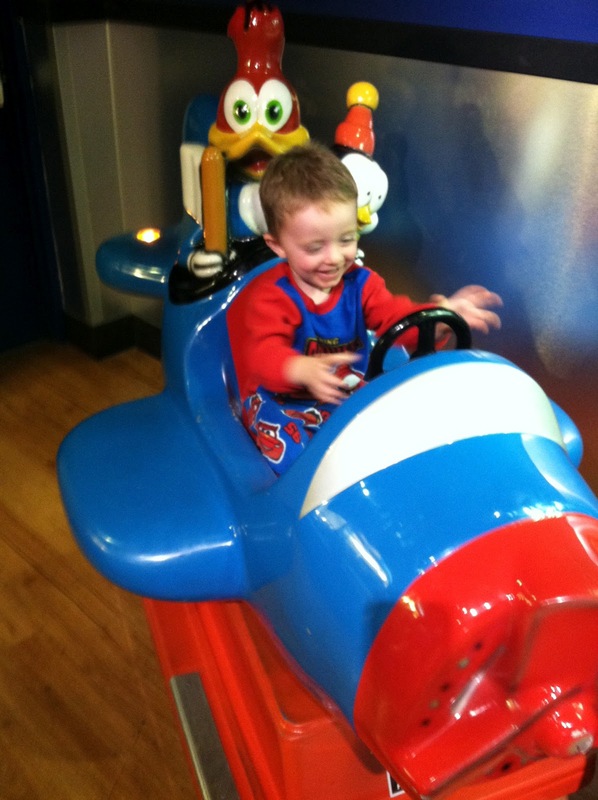 When we were headed out I let him ride the airplane in the arcade, which he loved. By the time we got home it was 10! Spoiled little boy! We had a lot of fun and I got lots of hug and kisses for it. He was so excited to show his Daddy everything he got and tell him everything we did. I love my little man.